September 15, 2015 – The Adams State University Observatory will host a free Moon Viewing from 7:30 p.m. until 9:30 p.m. Saturday, September 19, in recognition of International Observe the Moon Night. The Zacheis Planetarium continues to show free movies. The fall 2015 schedule includes double features every Thursday night and Friday afternoon. Thursday movies will start at 7 p.m. and at 7:45 p.m. Friday movies will begin at 4:30 p.m. and 5:15 p.m. There will be a break between movies to allow visitors to go in and out of the theater. All shows are free and open to the public on a first-come, first-served basis. Doors open 15 minutes before the first showing. Children must be accompanied by an adult. 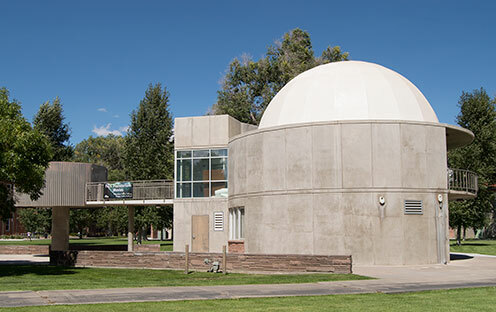 The ASU Observatory is located in Alamosa, Colorado.